Back again from a couple of days at Bilston. I’ve been enjoying the lovely responses from all sorts of people about my collaboration with Enamore. 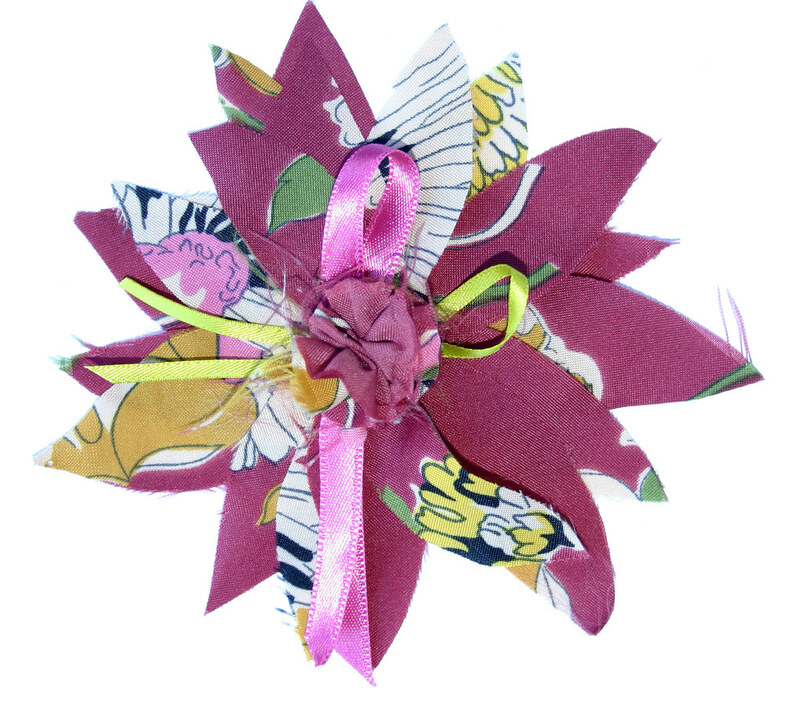 The first few corsages are now available to view online ready for their London Fashion Week launch! I must say, working in eco-fabrics and in environmentally-aware ways is really paying off. I have always tried to use recycled fabrics as much as possible and in the last few months have made an extra effort to upgrade almost all of my work to fabrics with less impact. The discovery of hemp-silk fabric really made this easier, though I would love to have access to a wider colour-range. It will come I’m sure, I have to be patient. Working in this field has been fantastic for networking and marketing, and I keep meeting such lovely people like Lisa of Harland Organic Furnishings. and Bridget of Pieces of You. I made these new purses as part of my new range to launch at Top Drawer a couple of weeks ago. I do love them. 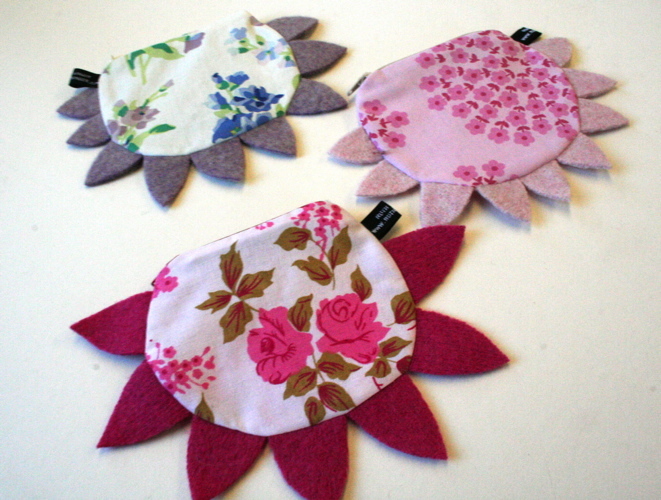 They are such a great way to use up bits of lovely vintage and recycled fabrics. I just found this photo, that’s why I put it up today – it bears no relation to anything else! I’m pretty tired after a couple of days away teaching and am busy avoiding the huge pile of things to catch up with tomorrow. I’ve got to finish updating my website. It’s got lots of new text, but new images are still waiting. Have a look at the weekend and it might just be done! Time for me to catch up on some much needed sleep.